(Staffordshire Council of Youth Voluntary Services) SCYVS awarded us £111 from the Local Support Grant and with it we put on a small event in Hednesford Park. We would like to thank all of our volunteers and the sun for comming out to support us! The Friends of Hednesford Park provided Face Painting and we asked people to decorate an umbrella for our next event, The Brolly Walk using fabric pens and beads. We raised £65.50 in donations which paid for the Disco, DJ Dave Collins Roadshow. Thank you to all who donated. (ABOVE LEFT & MIDDLE) Dawn from SSART demonstrates how our Pole Lathe works. We made the Pole Lathe on our Greenwood Crafts Course with The Forest of Mercia Contact Details Click Here or go to our COURSES page. (TOP LEFT) The Pastor and team from Kingsmead Baptist Church, Hill Top, Hednesford provided free cakes and a fishing game. (TOP MIDDLE) We had a family games area of Swing Ball, Giant Jenga, Skittles, Croquet, Hoopla and Giant Snakes and Ladders. (TOP RIGHT) SYPS Staffordshire Young People’s Services brought the Youth Bus and provided badge making and jewellery making activities. 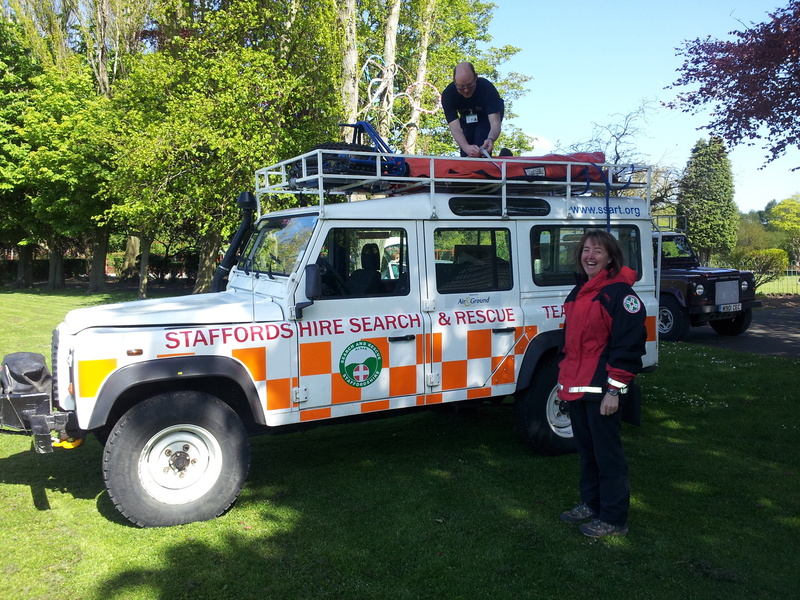 (TOP LEFT) Staffordshire Search and Rescue SSART Dawn and Eddie kindly volunteered their services to support our event. (TOP MIDDLE) Hednesford Town FC Community Program provided free football coaching and Cannock Community Fire Station brought their Street Stadia for young people to participate in team games, such as football and dodge ball. (TOP RIGHT) Giocoso choir provided pop up singing around the park. For more information click here!